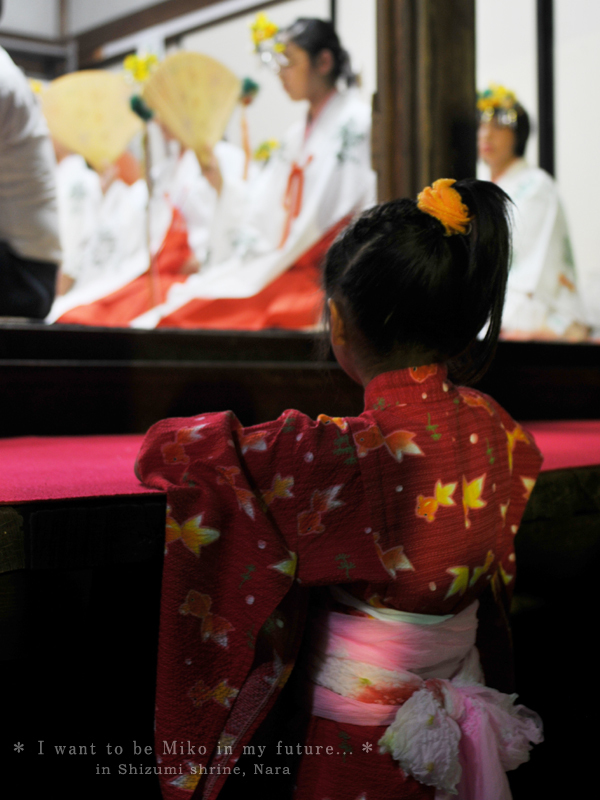 This little girl was looking these miko girls for a quite long time. It seems students of local primary schools play a role of miko taking turn every year. Taken on the eve of a festival at Shizumi Shrine.